Leapin’ Lizards, 39ers! It’s December 1978! Ah yes, the late ‘70s. Music flowed around us in slivers of love and broken hippie beads, as swirling Psychedelic music ignored Disco and morphed more forcefully, into Heavy Metal’s crashing beat. Well, for some. The music charts, however, spouted love and lust for December 1978. 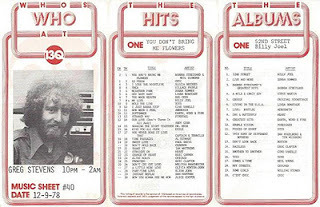 Fans of WKTQ/Pittsburgh, Pennsylvania, swooned with Neil Diamond and Barbara Streisand’s #1 hit, “You Don’t Bring Me Flowers”; while WLS/Chicagoland’s idea of Holiday hotness was chart-topper, “Hot Child in the City” (Nick Gilder). 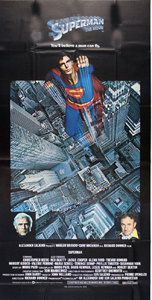 He bounded into our lives in a December 10, 1978 preview at the Kennedy Center, and flew over gaping mouths across the US in its national debut, December 15th. 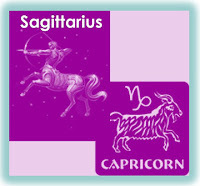 Sagittarians explode into December, excited about the year-end and a promising New Year, with Capricorn. In this month dominated by red and green, Sagittarius and Capricorn stride regally to the beat of a different Little Drummer Boy, in shades of purple, offset by glowing turquoise. December’s gemstone symbol of good fortune and success is polished bright for your New Year. With age, you learn to respect life’s three-dimensional march: a learned nod to your past, a toast to your present, and a lottery ticket for your future! ~ LinDee Rochelle, your 39er hostess. Three Cheers to 39ers as we enter 2018: Good Luck, Much Love, & and Hope for a Winning Lottery Ticket!